Car accidents can happen in an instant. The consequences, however, can last a lifetime. Unfortunately, for many auto accident victims, their suffering is the result of someone else’s negligence—a driver’s inattentiveness, a drunk driver’s carelessness, or any other driver’s negligence. At Larmoyeux & Bone, we know that those few seconds can turn your whole life on its head. Your family, your job, and your finances all suffer. Approximately 2.35 million car accidents occur throughout the United States each and every year. West Palm Beach is a hotspot for travelers and vacationers. As a result, the roads and highways in the area are packed with cars. While this is great for the economy, it also creates a potential hazard for Florida drivers navigating the crowded roads. 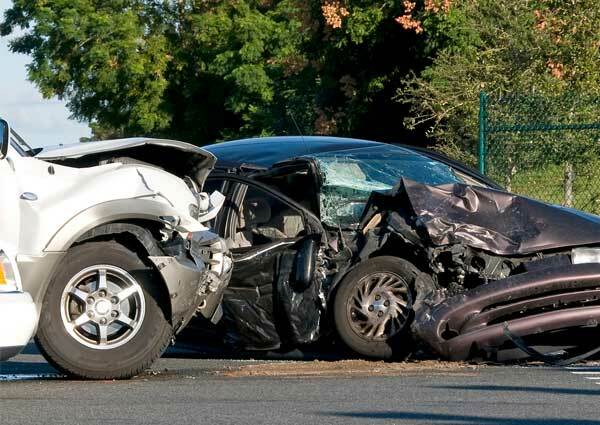 Larmoyeux & Bone has over 50 years of combined legal experience as West Palm Beach Car Accident Lawyers. We offer years of experience, compassion, and sensitivity when handling auto accident cases in West Palm Beach. Contact Larmoyeux & Bone by phone or Start a Live Chat to discuss your auto accident case with an experienced and board certified personal injury lawyer. According to the National Highway Traffic Safety Administration (NHTSA), approximately 100,000 motor vehicle collisions are reported by police each year directly connected to fatigued or drowsy driving. In the state of Florida, fatigued drivers have continually threatened the safety of the roadways and highways in a variety of capacities. The fact of the matter is that a tired driver is a dangerous driver, so much so that when driving fatigued, a motorist is in the same mental state of that of a drunk driver. Comparing a person driving under the influence of drugs and/or alcohol to that of a fatigued driver may seem drastic, however, when looked at in regard to motor skill ability and mental awareness the comparison is spot-on. In Florida, those drivers who choose to travel when they are too tired to drive are not only placing themselves in danger but also every other driver and passenger on the road. If you or a loved one has suffered in the hands of a fatigued driver, Larmoyeux & Bone is here for you. Our experienced and skilled West Palm Beach car accident lawyers are prepared to take on your case today. To learn more about your legal options, please contact our office at your earliest convenience. Far too many auto accidents in Florida are traced back to a driver who felt “fine to drive”. Unfortunately, getting behind the wheel feeling at all fatigued places any motorist at serious risk. Beyond the typical hazards that exist on Florida’s roadways, choosing to drive while fatigued increases the likelihood of a crash significantly. As such, drivers in Florida are strongly encouraged to recognize the signs and symptoms associated with fatigue in order to avoid driving when they are unable to safely do so. In general, the early morning and the middle of the afternoon are marked as the most vulnerable times for fatigue-related collisions. Sadly, many drivers choose to ignore these symptoms and get behind the wheel anyway. Being oblivious to these signs is commonly the cause of traffic accidents throughout the state of Florida. In the majority of these situations, the fatigued driver is held liable for the damages related to the auto accident. In such cases, it is imperative to contact an experienced Florida auto accident lawyer to learn more about your particular options. In Florida, high-speed collisions are amongst the most prevalent causes of auto accidents. It goes without saying that a large portion of the driving population in West Palm Beach, especially on the Turnpike and I-95, has engaged in unlawful speed. Drivers commonly exceed the speed limit without thinking through the full effect a high-speed collision can present. As speeds increase, there is a direct correlation in the severity of an auto accident. Driving above the legal speed limit causes the driver to have less control of the vehicle, increasing the chance of an auto accident. The likelihood of injury or death greatly increases as a driver’s speed exceeds 30 mph. As a result, high-speed collisions in West Palm Beach often occur at large intersections and highways. Even the safest vehicles cannot withstand the impact of a high-speed collision. If you or a loved one has been involved in a high-speed collision resulting in severe injury or wrongful death, you deserve adequate representation and compensation for your losses. The high-speed collision lawyers at Larmoyeux & Bone have over 50 years of combined experience with cases like these. When speeds exceed the legal limit, the risk factors of surrounding vehicles increase astronomically. At such high speeds, drivers are unable to react to potential roadwork, vehicles around them, or changes in traffic signs. As a result, the level of injury escalates. In the United States, nearly 6,000 pedestrians were killed in 2017. When a vehicle strikes a pedestrian, the outcome is typically catastrophic. While preventing pedestrian accidents entirely may be impossible, increasing awareness for both motorists and pedestrians in Florida will help to reduce the frequency of crashes. The NHTSA defines a pedestrian as “any person on foot, walking, running, jogging, hiking, sitting, or lying down” involved in a traffic collision. The injuries associated with pedestrian accidents are likely life-threatening due to the pedestrian’s limited protection compared with a vehicle. Pedestrians are often given minimal attention, yet the accidents involving those on foot are primarily deadly. We have seen countless numbers of pedestrian accident victims being taken advantage by insurance companies and at-fault drivers. We believe that pedestrians deserve the protection of their rights and we work diligently to build a strong case for these victims. The state of Florida is home to many who are living here for the beautiful weather and year-round summer. Favorable weather encourages Florida residents to get outside for pleasure, exercise, and even to walk to work on a pretty day. Therefore, it is rather common to see a large number of individuals walking from destination to destination in the Sunshine State. Unfortunately, this group of individuals is largely vulnerable in head-on oncoming traffic. Even a slowly moving vehicle can cause debilitating injuries in a pedestrian accident. From road rash to head injuries and from bone fractures to paralysis, the number of potential injuries involved in these traffic collisions is enormous. While some crashes are certainly unavoidable, being aware of the most common causes may help to prevent an accident. Thousands of pedestrians are killed in motor vehicle crashes each year in the United States. Both drivers and pedestrians must play a role in reducing these frightening accident and injury statistics. If you or a loved one has suffered in an accident, contact Larmoyeux & Bone at your earliest convenience to discuss your legal options. Among all types of auto accidents, side-impact collisions (also known as a broadside collision or a T-bone collision) have proven to be the most damaging. A side-impact collision occurs when the front of a vehicle crashes into the side of a vehicle. The speed and size of the oncoming vehicle determine the severity of the accident, but often catastrophic injury often results. Victims of side-impact collisions suffer the most injury if the collision occurs between the tires, as opposed to the front or back end of the vehicle. Due to the nature of the accident, a majority of side-impact collisions take place at busy intersections. The West Palm Beach side-impact collision lawyers at Larmoyeux & Bone exhaust all resources to build a winning case. Side-impact collisions are often unavoidable, as the vehicle that is broadsided is seldom prepared. Technology advancements have altered the manufacturing of vehicles to ensure greater protection. However, side-impact collisions to the “crumple zones” (where the energy from the auto accident is absorbed) have vastly damaging effects. According to recent research from the Centers for Disease Control and Prevention (CDC), motor vehicle collisions are the leading cause of teen deaths in the United States today. Quickly gaining a bad reputation for reckless driving habits and a careless attitude toward auto safety, teen drivers in Florida are vulnerable to a wide range of vehicle crashes. Teen driving accidents continue to plague the state of Florida, as these teens are able to obtain a driver’s license at the young age of 16 years old. One of the leading causes of teen driving accidents relates to this age group’s tendency to vastly underestimate the dangers situations. Often downplaying potential hazardous driving habits, teen drivers tend to display a great disregard for the rules and regulations as outlined by the National Highway Traffic Safety Administration (NHTSA). As more and more collisions arise, the importance of driver education for teens is highlighted throughout Florida. Have you or a loved one been involved in a teen driving accident? The experienced lawyers of Larmoyeux & Bone are prepared to take on your case today. Contact our West Palm Beach office today to speak with an auto accident lawyer. While the causes of any type of motor vehicle collision vary upon situational factors, there are a number of common causes related to teens and teen driving habits. Statistically, teen drivers are placed in a far more dangerous position when behind the wheel than that of an older, more experienced driver. As such, it is incredibly important for teens to be educated about the most common factors that cause teen driving accidents in order to avoid them from occurring. If you or a loved one has been injured in a teen driving crash, you may be entitled to compensation for the losses that you have suffered. In response to the growing number of teen driving accidents, the National Highway Traffic Safety Administration (NHTSA) has implemented the Graduated Driver Licensing (GDL) system in the majority of the country, including the state of Florida. With the ability to control driving exposures, Florida’s GDL has played a significant role in reducing teen collisions since its inception in 1996. The GDL system in Florida requires that 15-year-olds obtain a learner’s permit. In doing so, these teens must go through a number of educational classes and tests to ensure that they are well equipped to handle any potential dangers on the roads. Once a learner’s permit is obtained, the teen driver may not drive after 10 pm for the first three months and must always be accompanied by a driver who is 21 or older, and this person must be sitting in the front passenger seat. At the age of 16, the teen driver is able to obtain an intermediate license. During this time period (age 16 through age 17), the teen must pass the driving test, only drive between the hours of 6 am and 11 pm, and must be accompanied by an adult driver if driving outside of those hours. The restrictions outlined in the GDL system contribute to a reduction of teen driving accidents as well as an increase in teen driver awareness. Sport Utility Vehicles (SUVs) have been a growing hazard in the United States for the past several years. While danger lies in a variety of factors, among the most abundant is certainly its rollover capacity. Vehicle rollover accidents commonly occur with SUVs, as they have been regarded as the most rollover-prone vehicle. While the popularity and sales of SUVs continue to rise, as does the number of vehicle rollover accidents. Vehicle rollover accidents also occur with minivans and truck that, much like SUVs, have a high center of gravity making them prone to rollovers. A study by the NHTSA (National Highway Traffic Safety Administration) revealed that an excess of 280,000 rollover accidents are reported each year. Of those rollover accidents, about 7,000 lives are lost annually. The rollover accident lawyers at Larmoyeux & Bone have the experience to manage all aspects of your case. Vehicle rollover accident litigation is often a complex, difficult undertaking, choosing the right representation is critical to recovering your losses. Our West Palm Beach vehicle rollover accident lawyers are equipped to fight for your fair settlement. Each year, millions of drivers and passengers are injured in motor vehicle crashes in the United States. In the last several years, distracted drivers have become one of the nation’s greatest concerns. Texting and driving, for instance, has been the cause of thousands of auto-related injuries every year. Our West Palm Beach car accident lawyers understand that accidents are overwhelming. When the unthinkable occurs, accident victims must handle a number of different issues regarding their collision. Our attorneys are experienced in representing drivers, passengers, and other injured people like you who have been involved in a car accident. Traffic accidents require a legal team that is dedicated, passionate, and understanding. We handle auto accident lawsuits that involve rear-end collisions resulting in soft tissue injuries (whiplash), high-speed collisions resulting in serious injuries, such as spinal cord injuries (paralysis), hit-and-run accidents necessitating an uninsured motorist claim, car accidents involving drunk drivers, car accidents caused by distracted driving, such as texting, and car and truck accidents on I-95. We also handle auto accident insurance claims arising from vehicle rollovers and other motor vehicle accidents. Typically, insurance companies will attempt to pay the accident victim the least amount of money possible. At Larmoyeux & Bone, however, our auto accident attorneys believe that these victims deserve the maximum compensation possible. We will dedicate our time, energy, and resources to protecting the rights of Florida drivers and motorists. Whether you suffered broken bones in an auto accident, a loved one has suffered a traumatic brain injury (TBI), or you have lost a loved one in a fatal auto accident, we can help you pursue the compensation to which you are entitled. While you focus on recovering from your injuries, our West Palm Beach car accident lawyers will concentrate on developing a successful case for you. In doing so, we will utilize our expert resources and years of experience to achieve the compensation that you deserve. Our auto accident lawyers, Bill Bone, and Chris Larmoyeux have the experience, legal knowledge, investigative skills, and determination necessary to help you get to the heart of your legal situation. With over 50 years of combined legal experience, Larmoyeux & Bone understand what it takes to win. If you are unsure about your rights or pursuing a lawsuit, we can give you an accurate assessment of your case in a free initial consultation. If you do decide to go forward, we can begin to build your case right away. The other side has skilled, professional advocates on their side. You should, too. Contact Us Today for Free Case Evaluation!